Seller will give you a gift certificate in the amount of 14,0756 RUB for a positive review of the product purchased. 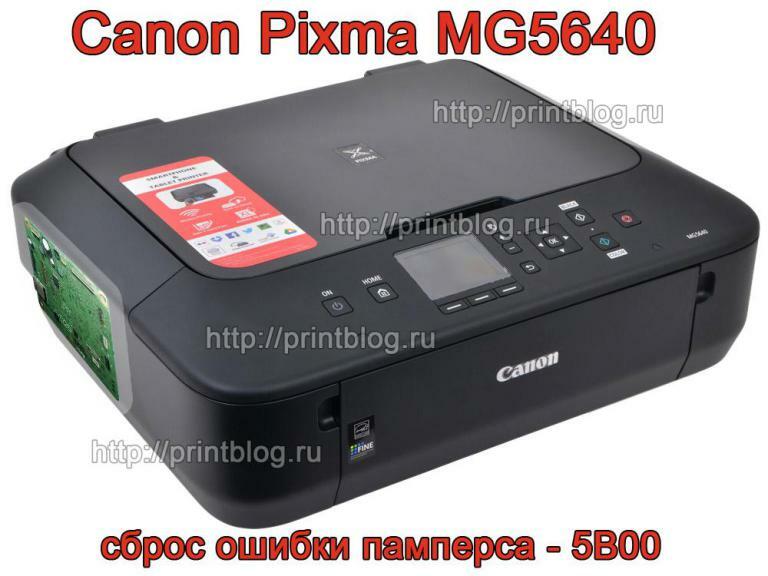 If the Canon Pixma MG5640 printer is locked and you can not find a way to clear the error diapers overflow and 5B00 mistakes or you have tried to reset the error and "killed" the service mode in the printer, then dumps chips 25Q16 and 25Q128 complete with a programmer to help solve the problem with an error. Спасибо! Скачал файл без проблем. Подпаивался к контактам микросхем, не выпаивая с платы. Прошивка прошла успешно, кстати 25q16 в моем случае прошивать не потребовалось - при сравнении данных на микросхеме и скаченного дампа выяснилось, что они идентичны. Прошивал только 25q128. Seller will give you a gift certificate in the amount of 14,0756 RUB for a positive review of the product purchased..